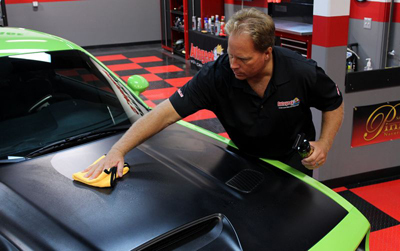 Vinyl and matte wraps require special care – clean and protect them with McKee's 37! We get asked all the time “What’s the best way to properly clean and protect my vehicle’s matte finish?” The answer is an easy one – McKee's 37 Matte Finish Cleaner & Protectant and McKee's 37 Xtreme Foam Formula Auto Shampoo, two very unique products that forgo petroleum distillates, alkaline detergents, silicone oils and other common ingredients that will wreak havoc on your vehicle’s expensive matte finish. This question has been asked enough to justify making a money-saving kit to care for these unique finishes! 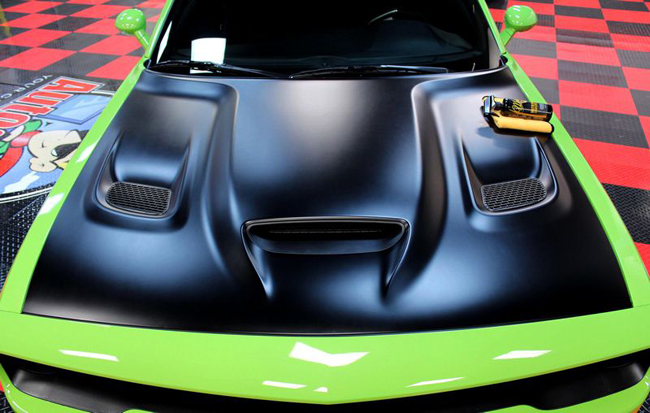 Vinyl and matte finishes are very different from clear coat, and they require special care. McKee's 37 Xtreme Foam Formula is a pH-balanced auto shampoo that contains nourishing oils and advanced polymers designed to safely remove dirt and grime without drying out your vehicle's matte finish. McKee's 37 Matte Finish Cleaner & Protectant contains a special blend of UVA and UVB absorbers that help prevent fading and cracking. 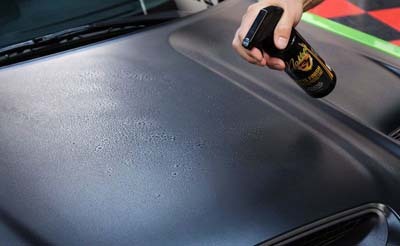 Best of all, you simply spray it on and wipe it off – no heavy rubbing or buffing is required. Both of these products will delight you with their ease of use and outstanding performance. On top of the two included McKee's 37 car care products, we’ve also carefully selected the best wash mitt and microfiber towels for caring for your vinyl/matte wrap. Our Microfiber Chenille Wash Mitt has 40% larger microfiber fingers than our standard microfiber wash mitts! This wash mitt has all the paint-pampering features of the original mitt plus superior durability and a larger size. The Microfiber Chenille Wash Mitt lathers your vehicle in suds for a safe, swirl-free wash! Rest assured this super soft wash mitt will not scratch or marr your vehicle’s delicate vinyl/matte wrap. The best towels to use with Matte Finish Cleaner & Protectant are the Gold Plush Juniors, and we’ve included three of them with this kit! The Gold Plush Jr. Microfiber Towel measures 16 x 16 inches and features an outstanding 75/25 blend of polyester and polyamide. The microfiber’s weight is 380 g/m², making one very soft towel! It’s no secret that you invested a small fortune to have your vehicle wrapped, clean and protect it the right way using the McKee's 37 Matte Finish Care Kit. That’s a total retail value of $55.94. Save $15.95! Clean and protect your vehicle's expensive matte finish with these two products from McKee's 37!